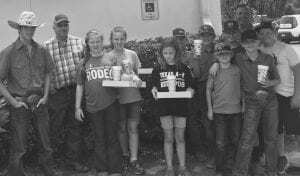 Three 4-H Livestock Day Camps were held this summer. The first was “the Ultimate Goal” where they studied the end product of a successful market animal – the meat. In addition to meat cuts and grades, they prepared some fried rabbit and lamb patties. The second day camp was about the “Care and Maintenance” of the animal they were raising. Good water, feed and exercise are the groundwork for the winning animal. The third was a private tour of the Full-O-Pep Feed mill. This was led by the experienced Mr. Bryon Bettice and his son Trace. 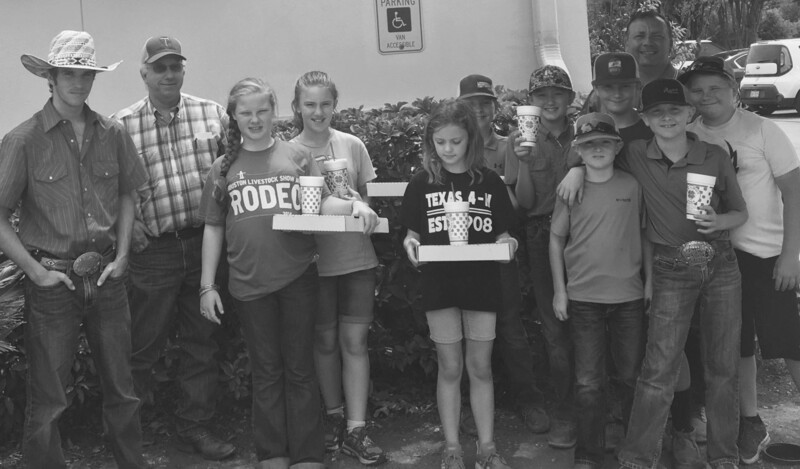 After this interesting tour, they all adjourned to Big Lou’s Pizza, where Mr. Bettice treated them to lunch.